Avyukta Intellicall Consulting Pvt. 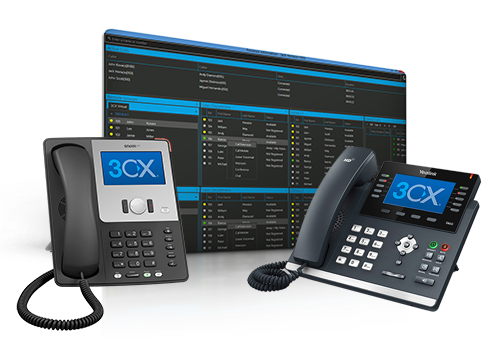 Ltd.
An IP PBX is a private branch exchange acts as the central switching system for phone calls in the buisness that switches calls between users on local lines while allowing all users to share a certain number of external phone lines. Old PBX is made up of two key elements: lines and stations. The lines, sometimes also called trunks, are connections to the global public switched telephony network through the telephone companies. Stations are simply a device like telephones or other endpoint devices fax machines, modems. PBX systems handle internal traffic between stations and behave as the gatekeeper to the outsider. PRI provide telecommunication services to offices. It based on T-carrier(T1) line in US and Canada,it consist 24 channels and E-carrier(E1) line in Europe consist 32 channels. Avyukta Intellicall Consulting Pvt. Ltd. is one of the pioneer companies on turnkey platforms and bundled solutions to avail single vendor coordination with the end clients for Bandwidth ,Digitial CTI / PRI /T1 / E1 / Cards / GSM Gateways / FCT Solutions though a reliable and risk free channel partnership and official resellerships.